This weekend I decide not to have any type of theme at all. I would like the freedom to watch anything that the mood hits for. Whether I have owned it for years... or is brand new. Or whether I have seen it a dozen times or never seen it at all. I do plan on watching some of my new DVDs I just got though. As I said... Plan on watching some of my newest DVDs. I believe I will be starting with the Hitchcock classic Rear Window. Here is a list of some of my recent additions. If there is anything here you would like to see a review to just let me know... and I will do my best to get at them this weekend. So... any of those you want to see reviews for?... or seen them yourself and think I would enjoy? With any luck this weekend I will not have 1001 things poping up throughout the weekend and I will have more time for movies then I did last weekend. This is a movie that I been meaning to see for years. And I finally got to it today. Being fairly new to the classics I am not too familiar with any of the people involved in making this movie. But from what I have seen so far I do enjoy the work of Alfred Hitchcock as well as Jimmy Stewert. But I am almost embarrassed to say that this is the first thing I ever seen Grace Kelly in. After watching it the first thing I want to say is Wow! that Grace Kelly was more then adorable. She was one gorgeous (and at least going by this movie talented) lady. Rear Window is a fantastic movie. It had me glued to my seat for the entire movie. Sure there was some scenes in it that was a little on the slow side... but you know... it worked for this movie. It may have had some slow scenes... but they were still interesting. I have seen this story told over and over again in different movies and TV show episodes. But this is the first time I ever seen the original movie. And I must say... I can see why it gets so much homage. The story is great... everyone involved did a wonderful job... this movie deserves the right to be called a true classic. If there is anyone else like me here that has never seen this movie before I highly recommend it. I been wanting to see this animated movie since I first saw the trailer. And it didn't disappoint. I enjoyed it very much. This movie is definitely heavier on the violence as well as some suggestive dialog. So it is not one for the kiddies... but I don't think it is to bad... I would say the teens on up would enjoy this movie. One thing I did find a little on the strange side is that you don't hear the name Wonder Woman till the end of the movie. But that is such a minor thing it doesn't matter in the least. I am hoping we see a sequel to this one before too long. As well as the long awaited live-action movie. The one problem I did have with this movie... and is true about all the animated super hero movies I have seen... is the short run time. This movie is only 73min. long. Pete, I'm glad you liked Rear Window. I'm not surprised this is your first exposure to Grace Kelly since you only got into classic movies (or at least classic non-horror) recently...but also because Grace only made a limited number of movies. I think she only appeared in 11 films. She did appear in one classic western, High Noon, so you should check that one out. Of your listed films, I would like to see you watch and review the Green Lantern animated film. I'm open to anything else you would want to review. Believe me Roger... Green Lantern is definitely on my list for this weekend! Not next... but soon! And thanks for the recommendation for High Noon. I already have that on my list to buy from when you reviewed it not long ago. I'm glad you liked Rear Window too. Was I right about Grace kelly, or was I right? Aside from High Noon, she also did two other Hitchcock films: Dial M for Murder and To Catch A Thief. The former was before Rear Window and a smaller, though essential, role. It was made for 3D, though never shown that way I believe, and Kelly has a very powerful moment that would have worked very well in that format (review in a thread near you! ). While neither film is as good as Rear Window, I think you would enjoy To Catch a Thief. It's a light caper movie, but she is astonishingly gorgeous in it. That will be reviewed soon on here of course! She retired from acting not long after to marry Prince Rainer III of Monaco. I heard a story this upset Hitchcock and he wouldn't speak to her! He tried to get her for Marnie years later, but the Prince apparently quashed any such notions, and had even banned her films in Monaco. I suppose she was Princess Grace now and it would be awkward to live both lives, even in retrospect. Despite a short career, she's always been regarded one of the greatest screen actresses, and with things like Rear Window it's impossible to argue. Sadly, she died in a car accident in 1982. Strap yourself in for pulse-pounding action, star-powered adventure and cutting-edge special-effects with awesome "morphing" sequences beyond your wildest dreams! Summoned to a mysterious island, three martial arts warriors engage in the ultimate battle of good against evil—the supernatural tournament of Mortal Kombat®. Starring Christopher Lambert (Highlander), Talisa Soto (Don Juan DeMarco), Bridgette Wilson (Last Action Hero) and featuring world class martial arts champion Robin Shou (Beverly Hills Ninja), it's the most awesome, action-jammed, reality-shattering adventure the Universe has ever witnessed! This is one of the very few times I bought the sequel before the original movie. As I normally like to get things in order. Several years ago I went through a phase where all I would watch (other then horror of course) was martial arts movies. While I still enjoy them I don't get the urge to watch them nearly as much as I used to. 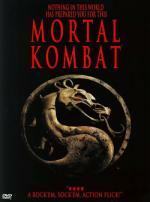 But it helps when there is a supernatural element to the story as there is with the Mortal Kombat movies. I have seen better movies... but it is entertaining... so I am glad I added it to my collection. Next I time I watch it I will have to watch this followed by the sequel. Oh you were definitely right about her... her screen presence was simply amazing. And thanks for the recommendations! Korean War vet and retired autoworker Walt Kowalski doesn't much like how his life or his neighborhood has turned out. He especially doesn't like the people next door, Hmong immigrants from Southeast Asia. But events force Walt to defend those neighbors against a local gang that feeds on violence and fear. For the first time since Million Dollar Baby, Clint Eastwood works on both sides of the camera, winning the National Board of Review Award as Best Actor for his bone-deep playing of Kowalski, burnished with experience, grace and gravitas into a "prime vintage Eastwood performance" (Peter Travers, Rolling Stone). I been looking forward to watching this movie since the first time I saw the trailer. And I will admit... going by the trailer I was expecting something slightly different then what I actually got. That isn't a bad thing mind you... as I thought the movie itself was very good. Clint Eastwood played a grumpy old man... but one that you couldn't help but to like. He could say some hateful things... but it didn't take long for his neighbors to see through that. Trying not to give too much away... the ending while was expected... didn't come to be in the way you would expect it to. I definitely recommend this movie highly if you haven't seen it yet. It is worth the time you need to put into it. the ending while was expected... didn't come to be in the way you would expect it to. Pete, I don't mean to pick on you, but that is a brilliant line! What I was trying to say is the ending itself was actually expected... but the journey to get there was somewhat surprising. I was afraid how I put it didn't really make sense... one of those things that sounded better in my head I guess. Or in other words... what happen wasn't a surprise... but how it happened was. When pilot Hal Jordan accepts a mysterious, powerful ring from a dying alien creature, it transforms him into a Green Lantern, one of an elite force of heroes who patrol the universe to ensure peace and justice under the leadership of the Guardians of the Universe. Unsure of their newest recruit, the Guardians assign Hal to their most-honored Green Lantern Sinestro for training, unaware that Sinestro wants to overthrow the Guardians and create a new order he'll control. It's a battle of might and willpower as Hal must prove his worth by defeating Sinestro to save the Green Lantern Corps. 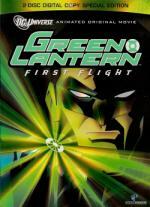 Voiced by a stellar cast including Christopher Meloni, Victor Garber, Tricia Helfer and Michael Madsen, this DC Universe original animated adventure bursts with action-packed shakedowns, showdowns and spectacular visuals as Green Lantern uses his powers and imagination to make the impossible real! I was thrilled when I saw they were coming out with a Green Lantern animated movie. As I always liked him in the Super Friends / Justice League cartoons... and other then that I never knew too much of him. But I always liked the character from what little I did know of him. I enjoyed the movie quite a bit. Like Wonder Woman they cranked up the violence (not to mention the language) a little. Not terribly so... but this is not really an animated movie for the younger kids... but it is plenty of fun for the teens and adults. 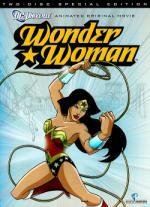 I would say if you liked the other animated Superhero movies of late then you will enjoy this one as well.